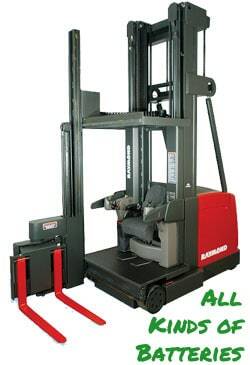 We know that forklift battery products can be immensely expensive. 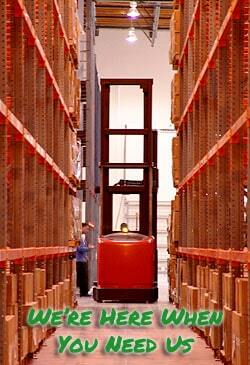 We offer both new and refurbished forklift batteries so that you have both reliable and cost-effective options. This is one of the reasons why we buy used and scrap batteries—so that we can refurbish them and provide them back to consumers at a low price. Browse our immense selection of forklift battery products and start trimming down your business’s expenses today! While we’re proud to have made a name for ourselves by buying and selling used and refurbished forklift batteries, we also carry many new forklift battery products. Our new batteries are of extremely high quality and come with a 7-year warranty. Our commitment to you doesn’t end there—as your battery nears the end of its life, you can bring it back to us. We will happily refurbish it at a fraction of the cost of buying a replacement. Click here to learn more. 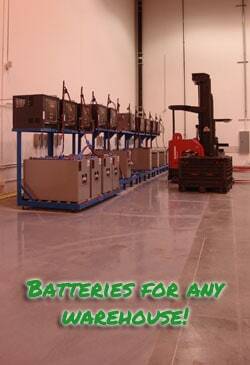 These refurbished forklift battery products are what we have built our name on. Check out our range of refurbished forklift batteries and see if we have a battery that suits your needs. Our refurbished forklift battery products are guaranteed to retain at least 85% of their original capacity and make for a very cost-effective alternative to simply purchasing another brand-new battery as a replacement. Plus, using refurbished batteries helps cut down on CO2 and pollution by reducing the need for the smelting of lead-acid used in the fabrication of new batteries. If you’re interested in helping out both your wallet and your planet, these are the batteries for you. Click here to learn more. 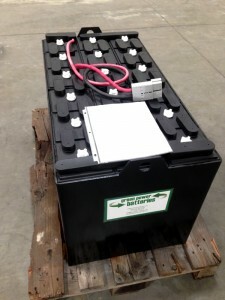 Whether you are purchasing a new or refurbished forklift battery, you really can’t go wrong when you buy from Green Power Forklift Batteries. Explore our selection today!